Vitamin C strengthens our immune system and helps to maintain its normal function during and after intense physical exercise, Increases iron absorption; As an antioxidant it protects cells against oxidative stress and reduces tiredness; It is important for normal collagen formation and for the proper function of blood vessels, bones, cartilage, gums, skin and teeth; It helps to control metabolism; Helps to improve functioning of the nervous system. Vitamin C is required to regenerate vitamin E and is essential in producing the most potent free-radical protector Glutathione. It can effectively lower homocysteine and bad cholesterol LDL levels while raising the good cholesterol HDL concentrations in the middle aged-to-elderly healthy individuals. First of all, there is no doubt that the best source of vitamin C are fresh raw fruits and vegetables, simply because they are not processed and because vitamin C in those foods is empowered by and combined with many other antioxidants, factors, nutrients, and phytochemicals which, like vitamin C, are also very beneficial. Unfortunately, there are many so called “natural” vitamin C supplements, based on acerola fruit and other naturally high in vitamin C sources, which are advertised as more effective than Ascorbic acid. The truth however is that not much vitamin C is probably left in those formulas once the acerola, camu camu, cherry or other vitamin C rich foods leave their natural environment, are processed, exposed to different sources of oxidation and stored for a long time. In addition, there are numerous studies which demonstrated that with regards to bioavailability there is no difference between natural vitamin C found in food and Ascorbic Acid. The difference is found only in additional ingredients such as bioflavonoids, phytochemicals, nutrients and different factors which accompany vitamin C when we consume fresh fruits and other high in this vitamin foods. The problem, however, is that for the most of the time we do not have access to fresh fruits and those we usually consume are imported from other countries or even continents, often picked unripe, and stored for a long time. Their vitamin C content, therefore, can’t be high. For this reason it is a very good idea to have at least a thousand mg of a good quality vitamin C in the form of L-ascorbic acid with a meal to make sure we have enough of this very important antioxidant. Ascorbic Acid is also better than the so called “natural” vitamin C supplements, not only because there is no difference with regards to absorption but because natural vitamin C supplements are too low in vitamin C.
Vitamin C is available in many forms. The most common one is Ascorbic acid (hydrogen ascorbate). But there are many non-acidic (alkaline) forms, called “mineral ascorbates”. 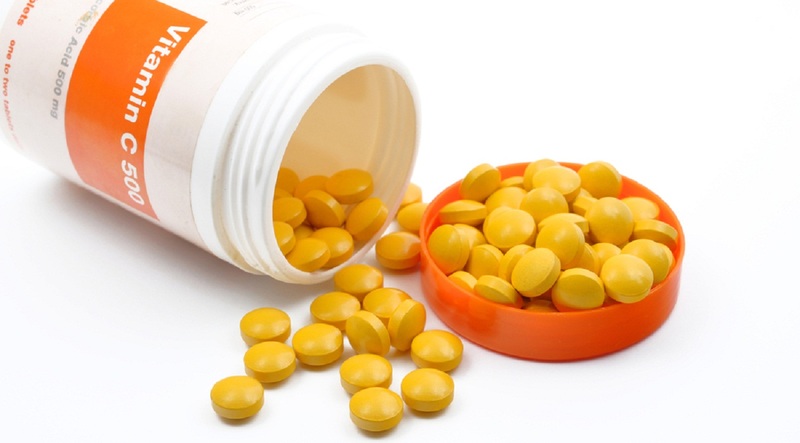 Among the most popular ones are: Calcium Ascorbate, Magnesium Ascorbate, Sodium Ascorbate or Potassium Ascorbate. As you can see all of these forms are ascorbates, and it is really the ascorbate part of each molecule that is responsible for having activity of vitamin C. The ascorbate fraction attaches to other ions forming different compounds but the effect and bioavailability of ascorbate carried by those ions is similar. First thing to understand, there is a significant difference between a vitamin and a vitamin’s activity. A vitamin is a biochemical complex. Vitamin activity is the actual biological and cellular changes that take place within the vitamin complex. So you see, the ascorbic acid you buy, innocently thinking you are buying Vitamin C, is just a fragment of the complex that makes up Vitamin C. Real Vitamin C is alive. It is a whole food. Synthetic, ascorbic acid is not alive; it is dead. Synthetic fractionated chemical ascorbic acid is not a food, and not a nutrient. By itself it has no vitamin activity, which was proven by the discoverer of Vtamin C, the Nobel Prize laureate, Dr. Albert Szent-Georgi who discovered Vitamin C way back in 1937. Another thing that’s really important for you to know: Vitamins are only necessary in minute quantities. Another falsehood peddled by the manufacturers of synthetic Vitamin C is that it’s good to take a lot of it. Actually, ascorbic acid is toxic and a whole lot of it is very toxic by depleting the body’s own miereral reserves. And the body can only absorb small amounts of Vitamin C; so taking 1000mg of Vitamin C is wasting money. Whole food Vitamin C, by contrast, is not toxic at all because it is a whole, natural food complex. Vitamins are living complexes, which contribute to other higher living complexes. The body cannot make most vitamins. They must be ingested as food. Whole, natural foods are rich in vitamins. Or used to be. But soils have been so disastrously depleted and deluged with pesticides, pollution, and erosion that foods grown today in American soil contain a fraction of the nutritional value they had fifty years ago. And that has led to the emergence of vitamin and mineral supplements in our diets. Whole food Vitamin C contains many essential trace minerals essential to their synergistic operation. Synthetic ‘vitamins’ contain no trace minerals, and to make matters worse, they deplete the body’s own mineral reserves. Make no mistake, the manufacturers of synthetic Vitamin C have only one motive––profit. And so millions of unsuspecting consumers, eager to maintain their health and the health of their loved ones, spend hard earned money on Vitamin C supplements that rob the bodies reserves making continued use counterproductive. When you ingest organic whole food Vitamin C your body does not have to draw on its own reserves in order to complete any missing elements from the vitamin complex, as is the case with synthetic Vitamin C.
The marketing mavens have been frighteningly successful in creating the myth that vitamins and minerals, isolated from one other and measured out in ‘proper’ quantities, are beneficial. But the truth is, vitamins and minerals function together as a complex team. If one part is missing or in the wrong form or in the wrong amount, the entire chain of metabolic processes will not function normally. The truth is, drug companies and food manufacturers want us to believe we are well informed so they can continue to misinform us. They are hell-bent on dumbing us down without our realizing they are doing so. How much dumber can we get? The marketing of synthetic Vitamin C has been so successful that almost all nutritionists, therapists, doctors, and health practitioners are unaware that synthetic Vitamin C contains no vitamin C, and furthermore, have been led to believe that some brands of synthetic Vitamin C are more potent than others. The truth is, the higher the potency of ascorbic acid the more drug-like its effects, robbing the body of it’s mineral reserves. Organic natural whole food Vitamin C is lower in potency. As it should be. Low potency is all you need. More is not better. One way to know you are not getting Vitamin C but a synthetic is by reading the recommended dosage. Synthetic vitamins are refined, high potency chemicals, and therefore are measured in milligrams, just like drugs. This hasn’t anything to do with vitamin activity or nutrition. Our bodies can only absorb about 200mg of Vitamin C at a time. Higher doses just flush out of our system. That’s why I recommend taking Tachyonized Pure-C (several times a day when needed) in smaller whole food doses equaling about 650mg. Tachyon-Whole-Food-Vitamin-C.jpgIf you’re coming down with a cold or flu, you can keep your body fully saturated throughout the day and night by taking two to four servings spread out over the course of your day. Furthermore, as a dead, purified chemical, synthetic Vitamin C (ascorbic acid), stresses the immune system as it tries to break down and remove from the body what it regards as a foreign chemical. Synthetic Vitamin C is not harmless. It actually has a negative effect on the body. So what do you do? Well, you now have insight into the false world of Vitamin C, so you can throw it all away and replace it with whole food Vitamin C. And in my opinion, the best whole food Vitamin C in the world is Tachyonized Pure-C! Tachyonized PURE-C is absolutely bursting with crucial nutrients found only in wild-crafted berries, this proprietary Tachyonized formula provides you with concentrated wild-crafted includes camu camu berries, the world’s richest source of natural Vitamin C, as well as concentrated, organic Tachyonized amla berries––celebrated as one of the most regenerative herbs in Ayurvedic medicine. The body absorbs these Tachyonized nutrients healing promoting extremely powerful antioxidant activity. Tachyonized Pure-C is unsurpassed as an antioxidant and as an immune supporter. It simply bolsters your immune system. Tachyonized Pure-C is 100% natural, organic and wild-crafted. Tachyonized Pure-C is 100% Hypo-allergenic.